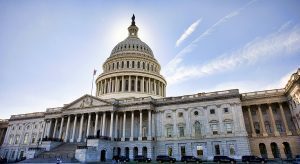 Washington, D.C., August 31, 2016 – New public opinion surveys released today by the nonprofit Alliance for Aging Research (Alliance) show that public awareness about heart valve disease (HVD) in the U.S. is alarmingly low. A national omnibus survey of 2,018 adults reveals that, while over half of respondents say they have heard of heart valve disease, less than one in four know somewhat or a great deal about HVD. 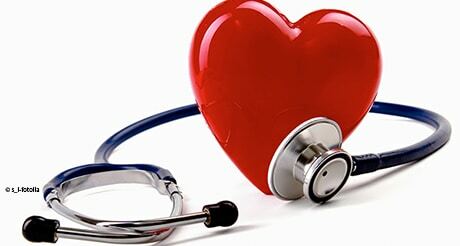 Although awareness increases with age, 30 percent of those over the age of 65 say that they know nothing about HVD. The results of the survey will be discussed in a webcast at 10 a.m. ET today. Registration is available here. Heart valve disease involves damage to one or more of the heart’s valves. While some types are not serious, others can lead to major complications—including death. Most valve diseases involve a damaged valve that disrupts blood flow by not opening or closing properly. These problems increase with age, as one in eight people age 75 and older are estimated to have moderate to severe heart valve disease. The surveying was done in collaboration with Belden Russonello Strategists, who put questions on Telephone CARAVAN, a national omnibus survey of adults via randomly selected landlines and cell phones. The Alliance also worked with Belden Russonello Strategists to conduct an in-depth analysis to learn more about awareness levels and the experiences of heart valve disease patients as they are diagnosed and seek treatment. A survey group of more than 400 individuals diagnosed with HVD was recruited through the Harris Panel—including members of its third party panel providers. The panel provides a robust representative sample of the general U.S. population. Additionally, patient focus groups in Chicago and New York provided a qualitative look at the patient experience. – More than two thirds of the survey respondents knew a limited amount or nothing about HVD prior to their diagnosis. – Six in 10 respondents were diagnosed with heart valve disease only because they went to see a health care provider for a regular checkup or some other issue. The potential seriousness of the condition and the current lack of awareness are the reasons why the Alliance is partnering with 29 national organizations to call on the U.S. Department of Health and Human Services (HHS) to include National Heart Valve Disease Awareness Day, beginning annually on February 22, 2017, on its National Health Observances Calendar. For additional details about the public opinion surveys, heart valve disease, and the National Heart Valve Disease Awareness Day, please visit here. For more information about the campaign, please contact Noel Lloyd, director of communications, at 202.370.7852 or through email.